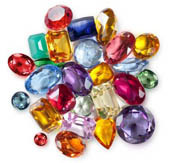 Australian Gemstones Are of Extremely High Quality and Beauty. Australian gemstones, such as the October birthstone, fiery opals and yellow and blue sapphires, are in demand for stunning, high quality Australian jewellery. These sought after gemstones often feature in Australian jewelry, which can be made from almost any found object or precious metal. It is entirely possible to go prospecting for gold and gemstones in dry creek beds or for seeds and jungle lianas in lush tropical rainforests to find the raw materials from which to create items of great beauty. Some artists even make sea glass jewelry from weathered pieces of coloured glass collected from tropical beaches. Mission Beach artist, Liz Gallie creates her ‘ jungle art’, memorable necklets and bangles that look elegant and feel oh-so-comfortable, from solid silver, pearls and jungle vines, while other artists string together brilliant red seeds fallen from rainforest trees. In Port Douglas we are fortunate to have jewellery artists who take advantage of their skills at using various materials to design and make classically elegant jewellery, which enhances the wearer's beauty and enjoyment. Judith Bohm-Parr’s earrings, necklets and brooches made from delicate looking pate-de-verre or dichroic glass are collectible glass jewellery. Marie Simberg-Hoglund’s fused glass jewelry pendants and earrings, which she sometimes combines with glass hand-made beads make distinctive and unusual personal adornments. Jill Booth has recently introduced her very inexpensive but simple and elegant range of sterling silver and glass earrings, designed to beautifully complement her designer silk scarves. Linda Jackson designs Australian opal jewelry mined at Lightning Ridge and Yowah, in Western Queensland and New South Wales, to complement her iconic textiles and Australian fashion design. Others use Nature’s bounty to harvest, design and make popular Australian crystal jewelry or select from other well known Australian gemstones such as rubies, diamonds, garnets, beryl, chrysoprase, emeralds, tourmaline, amethyst or tiger-eye. 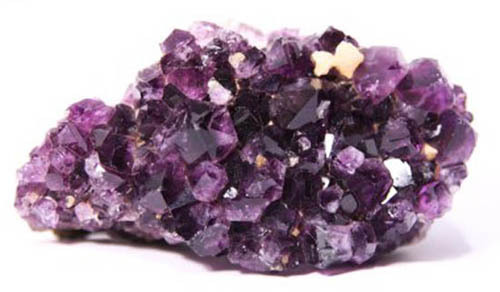 This short list of gemstones is just the beginning of a long and impressive number of semi precious and precious stones found in, often, remote areas of the country. 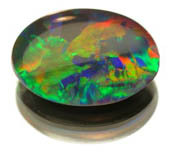 Lapidary clubs abound but there are also many shops and dealers which sell a wide range of Australian gemstones. But if you wish to make artwork that reflects the Australian landscape what could be better than to immerse yourself in its harsh beauty and collect the gold and gemstones yourself? Rubbish one day, beach jewels the next! Imagine the stories that small pieces of weathered glass ('sea glass') might tell if they could speak of journeys that end with being tossed up on a beach somewhere! A fascinating pastime is collecting this sea glass and turning it into objects of beauty. Lin Schneider from Peru is one jewelry artist who does just that. "I love walking on the beach and finding sea glass or other objects; something that was thrown away. Then working with the raw materials and finally seeing them transformed into a lovely piece of sea glass jewelry that someone else will appreciate and enjoy," she says. 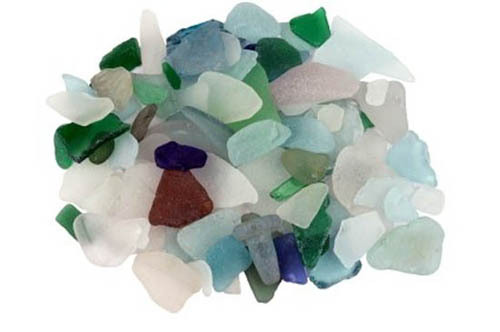 Have you found some beautiful sea glass pieces that you have enjoyed collecting? Perhaps you would like to share photos and something of that beach-combing experience? If so please do let us know via the form below? 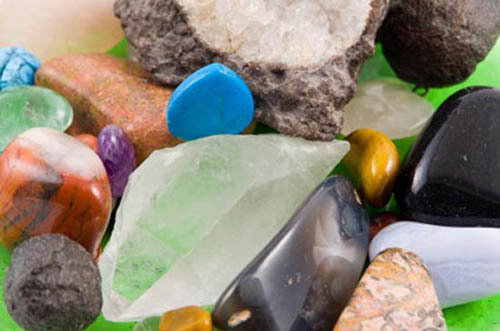 Do you collect gemstones, wild seeds or seaglass? If you would like to share your experiences of collecting beautiful sea-glass, semi-precious gemstones or brightly coloured seeds from the wild we would love to hear about it. Please use the ? help if in doubt. Perhaps you could tell us why you love this hobby, what adventures you have had in its pursuit and what you do with your collections? We would love to hear! Please write 300 - 400 words and include some photos for us?